trainee4's blog | BANK EXAM PORTAL : IBPS, SBI, PO, Clerk, IPPB, Bank Jobs Aspirants Community. 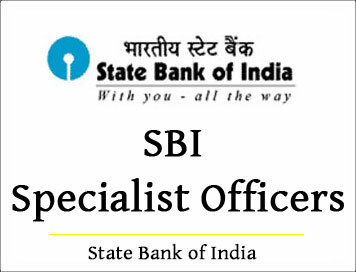 Any eligible candidate, who aspires to join State Bank of India as a Probationary Officer, is required to register on-line for the Recruitment Process. The examination will be held in three phases i.e. Preliminary examination, Main examination and Group Exercise & Interview. The candidates who are shortlisted after Preliminary examination will have to appear for Main examination. The candidates shortlisted after the main examination will be subsequently called for a Group Exercises & Interview. Prospective candidates will have to apply after carefully reading the advertisement regarding the process of examinations and interview, eligibility criteria, online registration processes, payment of prescribed application fee/ intimation charges, pattern of examination, issuance of call letters etc. and ensure that they fulfil the stipulated criteria and follow the prescribed processes. (A) Essential Academic Qualifications: (AS ON 31.08.2018): Graduation in any discipline from a recognised University or any equivalent qualification recognised as such by the Central Government. Those who are in the Final year/ Semester of their Graduation may also apply provisionally subject to the condition that, if called for interview, they will have to produce proof of having passed the graduation examination on or before 31.08.2018. Candidates having integrated dual degree (IDD) certificate should ensure that the date of passing the IDD is on or before 31.08.2018. Candidates possessing qualification of Chartered Accountant may also apply. d. "Muscular dystrophy" means a group of hereditary genetic muscle disease that weakens the muscles that move the human body and persons with multiple dystrophy have incorrect and missing information in their genes, which prevents them from making the proteins they need for healthy muscles. It is characterised by progressive skeletal muscle weakness, defects in muscle proteins, and the death of muscle cells and tissue; e. "Acid attack victims" means a person disfigured due to violent assaults by throwing of acid or similar corrosive substance. Note: Only person with benchmark disabilities would be eligible for Reservation. “Person with benchmark disability” means a person with not less than forty percent of a specified disability where specified disability has not been defined in measurable terms and includes a person with disability where disability has been defined in a measurable terms, as certified by the certifying authority. A person who wants to avail the benefit of reservation will have to submit a disability certificate issued by a Competent Authority as prescribed vide RPWD Act, 2016. Such certificate will be subject to verification/ re-verification as may be decided by the competent authority. NABARD 2018 Notification was released on 13th March 2018. The last date to fill in the application form was 2nd April 2018. 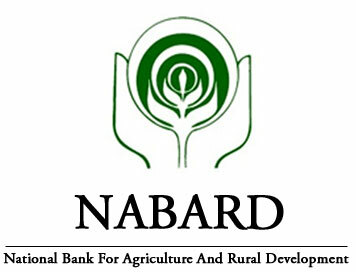 A total vacancy of 92 was declared by NABARD to recruit candidates to Assistant Manager post in different segments of the National Bank of Agriculture and Rural Development. 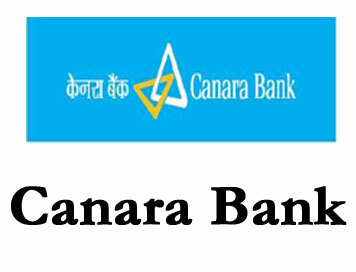 Canara Bank, a leading Public Sector Bank with Head Office in Bengaluru and pan India presence with over 6100 branches, invites ON-LINE APPLICATIONS, from the eligible candidates to apply for admissions to the specially designed One year training course leading to Post Graduate Diploma in Banking and Finance (PGDBF) either through Manipal Global Education Services Pvt Ltd., Bengaluru or NITTE Education International Pvt Ltd., Mangaluru, which are recognised by UGC. The course comprises of 9 months of classroom studies and 3 months internship at Canara Bank’s Branches / Offices. This one year full-time PGDBF course will be conducted either at Manipal Global Education Services Pvt Ltd, Bengaluru campus or NITTE Education International Pvt Ltd. Mangaluru campus. Candidates will be selected for admission to the course at either of the above two institutes through selection process consisting of online objective test followed by Group Discussion and Personal Interview. On successful completion of the course, candidates will be awarded with “Post Graduate Diploma in Banking and Finance (PGDBF)” from that institute and the candidates would be offered appointment in the Bank as Probationary Officer in Junior Management Grade Scale-I. Eligible candidates can apply ON-LINE through link given in our Bank’s website www.canarabank.com. No other means / mode of Application will be accepted. Please read this advertisement carefully and ensure your eligibility before paying fees / submitting on-line application. Please note that: a) The process of Registration of application is complete only when fee is deposited with the Bank through On-line mode on or before the last date for fee payment; b) Before applying, candidates are requested to ensure that they fulfill the eligibility criteria for the post as on the cut-off date. c) Candidates are advised to check Bank’s website www.canarabank.com for details and updates. A Degree (Graduation) with a minimum of 60% marks (55% for SC/ST/PWBD) or equivalent grade, in any discipline from a University recognised by the Government of India or any equivalent qualification recognized as such by the Central Government. Test will be held on-line. Wherever there will be no test, short-listing and interviews will be held.Where number of applications is less, Bank reserves the right to consider selection of the candidate(s) through shortlisting and interview, instead of test & interview. Bank. The questions will be bilingual i.e. 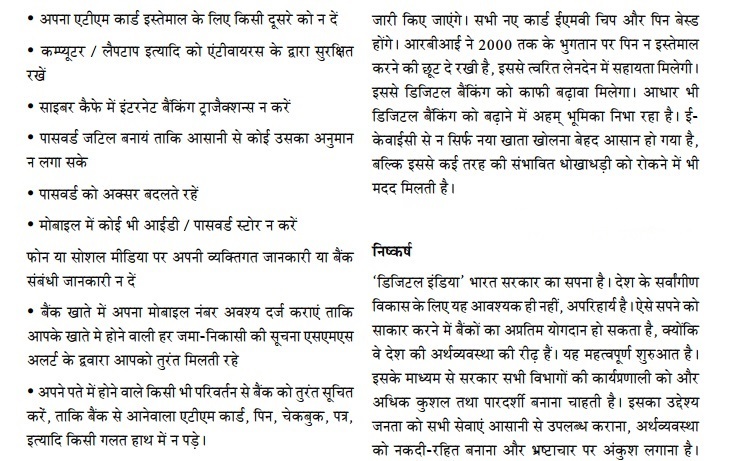 in Hindi & English. The candidates will have option to answer the questions in Hindi or English (except for test of English Language). b) To be eligible for being short-listed for interview, candidates have to score equal to or above the cut-off marks to be decided by the Bank for the PK test, besides scoring equal to or above the Minimum qualifying marks in other tests. For the post of Economist the qualifying marks in Descriptive test will be decided by the Bank. c) Candidates must secure equal to or more than the minimum qualifying marks (to be decided by the Bank) in interview to be considered for selection. In the interview, the candidate can opt for Hindi also.Merit List: a) for selection will be prepared in descending order on the basis of scores obtained in PK test, Descrptive test (when applicable) and interview or interview only, as the case may be. d) In case more than one candidate score the cut off marks (common mark at cut off point), such candidates will be ranked according to their age in descending order, both in the select list as well as in the wait list. 1. Which of the following is not true about computer files? (1) They are collections of data saved to a storage medium. (2) Every file has a filename. (4) All files contain data. 2. Which of the following is not an example of hardware? 3. Which of the following is a secondary memory device? 5. Which of the following is not a storage medium? 1. Union Bank of India (herein after called the Bank), a leading listed Public Sector Bank with Head Office in Mumbai and having Pan India, as well as, Overseas presence, invites On-line Applications for recruitment to the following posts in Specialized Segment. State Bank of India (SBI) propose to introduce the scheme of verifying the identity of candidates applying for all its recruitment processes through Aadhaar cards w.e.f. 1 st July 2017. Ascertaining the identities of candidates is critical for fair conduct of recruitment process and prevention of impersonation. The provisions of Aadhaar (Targeted Delivery of Financial and Other Subsidies, Benefits and Services) Act, 2016 (the Aadhaar Act 2016) and the Regulations under the Act have come into effect on various dates as published in the Official Gazette. Pursuant to Section 57 of the Aadhaar Act 2016, SBI proposes to verify the identity of the candidates through Aadhaar number in all its recruitment processes w.e.f. 1st July 2017. Accordingly, while applying for appointment in SBI it will be mandatory to furnish the 12 digit Aadhaar No. (or 28 digit Aadhaar enrolment ID in case the Aadhaar has been applied for, but not received). The Aadhaar number will be used at discretion of SBI to match the biometric information taken through biometric attendance system at the time of the examination/ interview/ medical fitness test/ reporting for joining with that stored on the Aadhaar server to establish the identity of the candidate. The above provision is applicable in all States and Union Territories of India except the States of Jammu & Kashmir, Meghalaya and Assam. Applicants from these States may use voter ID, passport, driving license or any other valid document, as may be specified by SBI in the relevant recruitment notice, as proof of identity for future recruitments in SBI. The Bank invites applications for the post of Content Writer on contract basis. A. Post Content Writer on contract basis at SIDBI, Lucknow. 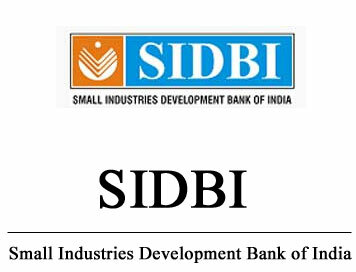 Developmental activities & new initiatives undertaken by SIDBI and any other work as may be decided from time to time. Graduate / Post Graduate in any discipline from a recognized Indian / Foreign University / Institute. The applicant should have adequate experience in content writing or in some related area with excellent command of written English and exposure to MSME sector. Remuneration Consolidated amount of `35,000/- per month. No other allowance/facility/benefits will be paid/admissible. Selection would be by way of personal interview by the Selection Committee. 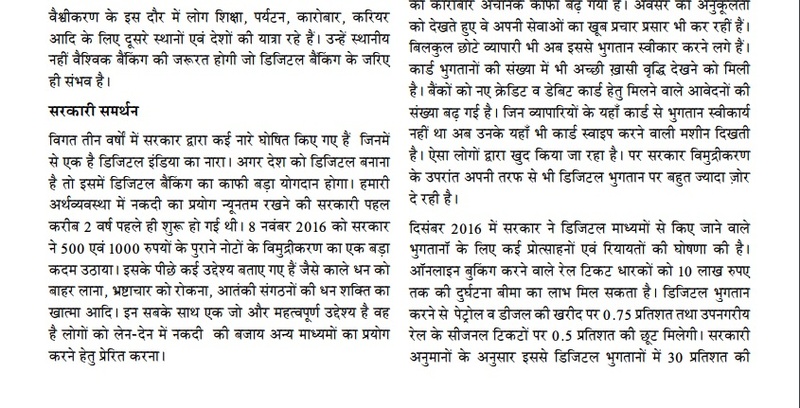 Duly filled in application (in English or Hindi), as per the format available on the Bank’s website, alongwith required documents, should be sent to the Deputy General Manager, Human Resources Vertical (HRV), Small Industries Development Bank of India, 15 Ashok Marg, Lucknow 226001, on or before December 15, 2017. The envelope containing the application should bear the superscription “Content Writer on Contract basis". (i) Candidates, called for interview will be paid economy Airfare / 2 nd AC railway fare by shortest route in India. 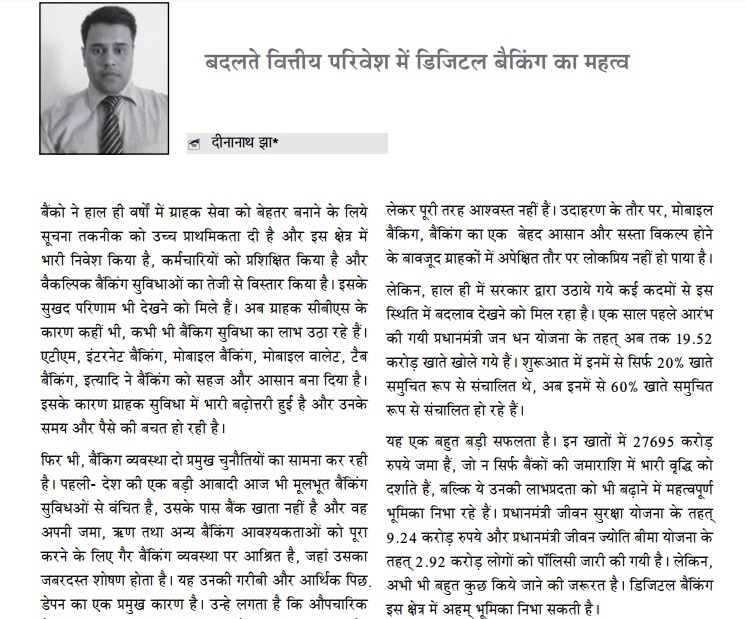 (ii) Decision of the Bank in all matters regarding eligibility, selection etc. would be final and binding on the candidates. No representation or correspondence will be entertained by the Bank in this regard. 1. 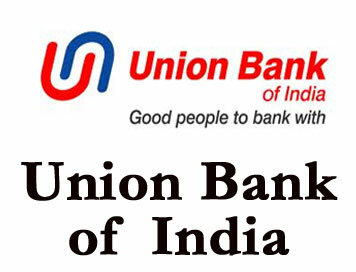 Union Bank of India (herein after called the Bank), a leading listed Public Sector Bank with Head Office in Mumbai and having Pan India, as well as, Overseas presence, invites On-line Applications for recruitment to the following post in Specialized Segment. the policy of the Bank. ** The number of vacancies are tentative and can be changed at sole discretion of the Bank. Note: The selected candidate can be posted at any Branch / Office of the Bank at sole discretion of the Bank. Hence, the candidates willing to work at any of the Branch / Office of the Bank need only apply. Note: The Bank reserves its right to interchange the number of reserved vacancies in various categories as per Government Guidelines. The applicants intending to apply should ensure that they fulfill the eligibility criteria specified herein below before applying. It should be noted that the eligibility criteria specified herein is the basic criteria for applying for the posts. However, merely applying for / appearing for and/or qualifying at any stage of selection process for the posts does not imply that a candidate will necessarily be eligible for employment / confer right on him / her for appointment in the Bank. An applicant must either be (i) a citizen of India, or (ii) a subject of Nepal, or (iii)a subject of Bhutan, or (iv) a Tibetan refugee, who migrated to India before 1st January 1962, with the intention of permanently settling in India, or (v) a person of Indian origin who has migrated from Pakistan / Burma / Sri Lanka / East African countries of Kenya / Uganda / the United Republic of Tanzania (formerly Tanganyika and Zanzibar) / Zambia / Malawi / Zaire / Ethiopia or Vietnam with the intention of permanently settling in India. Provided that a candidate belonging to categories (ii) / (iii) / (iv) or (v) above shall be a person in whose favour a certificate of eligibility has been issued by the Government of India before the date of this notification. Bachelor’s degree in any discipline with minimum 60% aggregate marks from a University/Institution/Board recognized by Govt. of India/approved by Govt. Regulatory bodies. Note: Candidates having professional qualification like MBA (Finance) / CA/ ICWA/ CFA/ FRM/ CAIIB from a University/Institution/Board recognized by Govt. of India/approved by Govt. Regulatory bodies will be preferred. Post Qualification Work Experience in processing of credit proposals in officer cadre with any Scheduled Commercial Bank for a minimum period of two years immediately preceding the cut-off date of application as per this Notification is mandatory. Note: A relaxation of 5% would be available in the minimum marks required under the eligibility criteria of Educational Qualification to the candidates belonging to Reserved Category, as per the Government guidelines. The selection process may comprise of Online Examination / Group Discussion (if conducted) and / or Personal Interview. The Bank reserves the absolute right to decide as to whether to use all or any of these modes for selection for the notified posts. The above tests except the test of English language will be available bilingually i.e. English and Hindi. The Bank also reserves the right to alter the structure of the online examination. NOTE: The Bank will be analyzing the responses (answers) of individual candidates with other candidates to detect patterns of similarity of right and wrong answers. If in the analytical procedure adopted by the Bank in this regard, it is inferred / concluded that the responses have been shared and the scores obtained are not genuine / valid, the Bank reserves right to cancel the candidature of concerned candidates. There will be a penalty for wrong answers marked in the online examination. For each question for which a wrong answer has been given by the applicant, one fourth or 25% of the marks assigned to that question will be deducted as penalty to arrive at final score. If the total of the penalty for a test is in fraction, the marks obtained will be rounded off to the nearest integer. If a question is left blank, i.e. no answer is marked by the applicant; there will be no penal mark for that question. A Personal Interview of 50 marks shall be conducted to assess the academic & job knowledge, power of expression, clarity of thought, qualities of leadership, extracurricular activities, hobbies, general demeanor, behavior, communication skills, suitability for the post, etc. of the applicant. The minimum qualifying marks for the Personal Interview would be 25 marks (22.5 marks for Reserved Category applicants). The applicants not securing the minimum qualifying marks in the Personal Interview will be disqualified for selection. i. The applicants will be called for the Online Examination / Group Discussion (if conducted), on the basis of the information provided by them in their On-line Applications without verification of their age or qualification or category or any other eligibility criteria. The applicants must, therefore, ensure that they fulfill all the notified eligibility criteria as on the cut-off date prescribed in this notification, have possession of the requisite documents / certificates specified by the Bank, and that the particulars furnished in their On-Line Application are complete, true and correct in all respects. Merely appearing in the Online Examination / Group Discussion (if conducted)and / or passing the Online Examination / Group Discussion (if conducted) and / or being called by the Bank for the Personal Interview shall not imply that the Bank is satisfied about the eligibility of the applicant. ii. The applicant shall be required to qualify in each Test of the Online Examination / Group Discussion (if conducted) as per cut-off marks, subject to minimum qualifying marks in the aggregate of 200 marks, both of which will be fixed by the Bank. iii. Generally, depending on the number of vacancies, only those applicants who have secured the minimum category-wise and test-wise cut-off marks to be decided for Online Examination / Group Discussion and rank sufficiently high in the order of merit based on the total marks scored in the Online Examination / Group Discussion shall be called for Personal Interview in the ratio of 1:3 for General / Unreserved applicants and 1:5 in case of applicants belonging to the Reserved Categories. In other words generally, for every single post in General and Reserved category, 3 General and 5 Reserved Category applicants respectively would be called for the Personal Interview depending upon their ranking as per the marks obtained by them. However, the Bank reserves its right to call for the Personal Interview applicants otherwise than in the above ratio at its sole discretion. iv. The applicants may also be called directly for Personal Interview without holding of Online Examination / Group Discussion. The Bank reserves its right to call any number of applicants for the Personal Interview at its sole discretion. v. After the selection process, the applicants, who secure more than the prescribed minimum qualifying marks in the used selection processes, will be ranked in a descending order on the basis of the aggregate marks obtained in the Online Examination / Group Discussion and / or Personal Interview under the respective SC / ST / OBC / GEN Categories. vi. Subject to the vacancies available under the respective Category, only those candidates, who pass the Online Examination / Group Discussion, if conducted, as well as, the Personal Interview will be short-listed for selection in the order of the Merit / Rank obtained by them under the respective Category. The candidates can apply only online from 04.10.2017 to 21.10.2017 (both days inclusive) and no other mode of application will be accepted. i. Scan their photograph and signature, ensuring that both conform to the required specifications given as Annexure-I with this notification. ii. Keep the necessary details of Educational Qualification, Post Qualification Work Experience and other personal details handy for entering in the online application. iii. Create a valid personal email ID, if not already done. The email ID should be kept alive for entire duration of the recruitment process. Under no circumstances, the applicant should share email ID with any other person. Third party email ID is not permitted. *The transaction charges, if any, for Online Payment of application fees / intimation charges will have to be borne by the applicant. Note: The Payment of application fees by any other mode except online will not be accepted. Instruments, like Demand Draft / Banker’s Cheque / Indian postal orders received towards payment of application fees / intimation charges will not be accepted under any circumstance. The application fees / Intimation Charges are non-refundable and once paid will not be refunded on any account nor can be held for in reserve for any other examination or selection. i. The applicants are required to go to the Bank's website “www.unionbankofindia.co.in” and click on the link "Recruitment" under “Careers” page to access the Recruitment Notification titled "UNION BANK RECRUITMENT PROJECT 2017 - 2018 (CREDIT OFFICER ) - RECRUITMENT NOTIFICATION”. There will be two links named as (1) Link for Notification (2) Link for Online application. The applicant has to click on first link to download the full notification. The applicant should carefully read and ensure that they fulfill all the eligibility criteria given in the downloaded notification. If the applicant is eligible then he/she may proceed to fill the online application form available as the second link. iii. The applicants should very carefully fill in the details in the On-Line Application at appropriate places and click on the “FINAL SUBMIT” button at the end of the Online Application format. Before pressing the “FINAL SUBMIT” button, candidates are advised to verify every field filled in he application as it cannot be changed/altered/corrected after final submission. iv. The application form is integrated with the payment gateway. The payment can be made by using Debit Cards (RuPay / Visa / Master Card / Maestro), Credit Cards, Internet Banking, IMPS, Cash Cards / Mobile Wallets. v. If the online transaction has been successfully completed, an e-receipt, Registration Number & Password will be generated. The applicants should note their Registration Numbers and Password for future reference. vi. If the online transaction has not been successfully completed then the candidates are advised to login again with their provisional registration number and password and pay the Application Fees / Intimation Charges online. vii. The applicants are required to take a printout of the e-receipt and the submitted online application form. Ø After submitting the payment information in the online application form, DO NOT press the Back or Refresh button in order to avoid double charge. Ø For Credit Card users, all prices are listed in Indian Rupee. In case of non-Indian credit card, the Bank will convert the amount based on its prevailing exchange rates. Ø To ensure the security of the data, please close the browser window once transaction is completed. An email / SMS intimation with the Registration Number and password generated on successful registration of the application will be sent as a system generated acknowledgement to the email ID / Mobile Number specified in the online application form. If candidates do not receive the email and SMS intimations at the email ID / Mobile number specified by them, they may consider that their online application has not been successfully registered. An online application, which is incomplete in any respect, such as without photograph and signature uploaded in the online application form / unsuccessful fee payment will not be considered as valid. 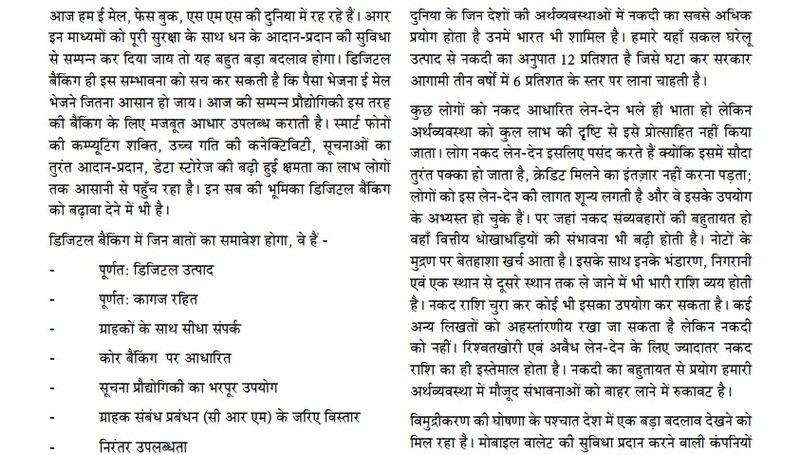 IBPS (PO) Previous Year Exam Paper - 2012 "Quantitative Aptitude"
Directions (Q. 51 -55) : What will come in place of the question mark (?) in the following questions? 52. [(5Ö7 + Ö7) × (4Ö7 + 8Ö7)] – (19)2 = ? 53. (4444÷ 40) + (645 ÷ 25) + (3991 ÷ 26) = ? 8787 ÷ 343 × Ö50=? of 4011.33 + of 3411.22 = ? 23% of 6783 + 57% of 8431 = ? 335.01 × 244.99 ÷ 55 = ? Read more about IBPS (PO) Previous Year Exam Paper - 2012 "Quantitative Aptitude"
IBPS (PO) Previous Year Exam Paper - 2012 "Reasoning"
And Step VII is the last step of the above input, as the desired arrangement is obtainied. 1. Which step number is the following output? (5) There is no such step. 2. Which word/number would be at 5th position from the right in Step V? 3. How many elements (words or numbers) are there between ‘feet’ and ‘32’ as they appear in the last step of the output? 4. Which of the following represents the position of ‘why’ in the fourth step? Directions (Q. 5-11) : Study the following information carefully and answer the given questions A, B, C, D, E, F, G and H are sitting around a circle facing the centre but not necessarily in the same order. B sits second to the left of H’s husband. No female is an immediate neighbour of B.
D’s daughter sits second to the right of F. F is the sister of G. F is not an immediate neighbour of H’s husband. Only one person sits between A and F. A is father of G. H’s brother D sits on the immediate left of H’s mother. Only one person sits between H’s mother and E.
Only one person sits between H and G. G is the mother of C. G is not an immediate neighbour of E.
5. What is the position of A with respect to his mother-in- law? 6. Who amongst the following is D’s daughter? 7. What is the position of A with respect to his grand child? 8. How many people sit between G and her uncle? 9. Four of the following five are alike in a certain way based on the given information and so form a group. Which is the one that does not belong to that group? 10. Which of the following is true with respect to the given seating arrangement? (1) C is cousin of E.
(2) H and H’s husband are immediate neighbours of each other. (3) No female is an immediate neighbour of C.
(4) H sits third to the left of her daughter. (5) Bis mother of H.
11. Who sits on the immediate left of C? Directions (Q. 12-18): In each group of questions below are given two/three statements followed by two conclusions numbered I and II. You have to take the given statements to be true even if they seem to be at variance with commonly known facts and then decide which of the given conclusions logically follows from the two/three statements, disregarding commonly known facts. (2) if only conclusion II follows. No exam is a question. I. No question is a test. II. Some tests are definitely not exams. I. Some forces are definitely not powers. II. No heat is force. I. No energy is heat. II. Some forces being heat is a possibility. Statements: No note is a coin. I. No coin is plastic. II. All plastics being metals is a possibility. I. No metal is plastic. II. All notes are plastics. No graphic is a picture. I. Some graphics are figures. II. No symbol is a picture. I. All vacancies are occupations. II. All occupations being vacancies is a possibility. Each of the six friends - A, B, C, D, E and F - scored different marks in an examination. C scored more than only A and E. D scored less than only B. E did not score the least. The one who scored the third highest marks scored 81 marks. E scored 62 marks. 19. Which of the following could possibly be C’s score? 20. Which of the following is true with respect to the given information? (1) D’s score was definitely less than 60. (2) F scored the maximum marks. (3) Only two people scored more than C.
(4) There is a possibility that B scored 79 marks. 21. The person who scored the maximum, scored 13 marks more than F’s marks. Which of the following can be D’s score? Directions (Q. 22-29): Study the following information carefully to answer the given questions. C sits second to right of the person from Bank of Maharashtra. R is an immediate neighbour of the person who faces the person from Bank of Maharashtra. Only one person sits between R and the person from PNB. The immediate neighbour of the person from PNB faces the person from Canara Bank. The person from UCO bank faces the person from Oriental Bank of Commerce. R is not from Oriental Bank of Commerce. P is not from PNB. P does not face the person from Bank of Maharashtra. 22. Which of the following is true regarding A? (1) The person from UCO Bank faces A. 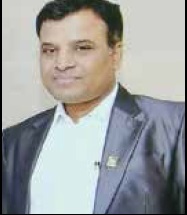 (2) The person from Bank of Maharashtra is an immediate neighbour of A. 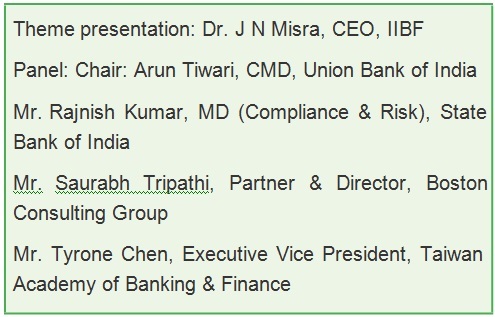 (3) A faces the person who sits second to the right of R.
(4) A is from Oriental Bank of Commerce. (5) A sits at one of the extreme ends of the line. 23. Who is seated between R and the person from PNB? 24. Who amongst the following sit at extreme ends of the rows? 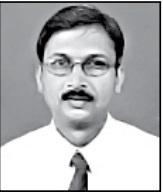 25. Who amongst the following faces the person from Bank of Maharashtra? 26. P is related to Dena Bank in the same way as B is related to PNB based on the given arrangement. Who amongst the following is D related to, following the same pattern? 27. Four of the following five are alike in a certain way based on the given seating arrangement and thus form a group. Which is the one that does not belong to that group? 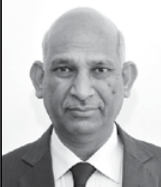 28. Who amongst the following is from Syndicate Bank? 29. C is from which of the following banks? (1) if the data in Statement I and II are sufficient to answer the question, while the data in Statement III are not required to answer the question. (2) if the data in Statement I and III are sufficient to answer the question, while the data in Statement II are not required to answer the question. (3) if the data in Statement II and III are sufficient to answer the question, while the data in Statement I are not required to answer the question. (4) if the data in Statement I alone or in Statement II alone or in Statement III alone are sufficient to answer the question. (5) if the data in all the Statements I, II and III together are necessary to answer the question. 30. Among six people P, Q, R, S, T and V, each lives on a different floor of a six-storey building having its six floors numbered one to six (the ground floor is numbered 1, the floor above it, number 2, and so on, and the topmost floor is numbered 6). Who lives on the topmost floor? I. There is only one floor between the floors on which R and Q live. P lives on an even-numbered floor. II. T does not live on an even-numbered floor. Q lives on an even-numbered floor. Q does not live on the topmost floor. III. S lives on an odd-numbered floor. There are two floors between the floors on which S and P live. T lives on a floor immediately above R’s floor. 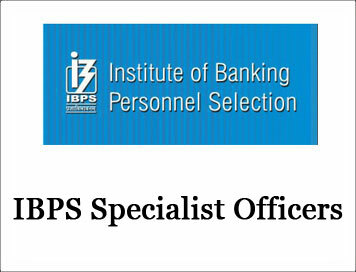 Read more about IBPS (PO) Previous Year Exam Paper - 2012 "Reasoning"
Introducing the theme, Dr. Misra said that the changing face of banking is a reality. From brick and mortar to click and order banking, from deposit and lending to payments, from physical to electronic clearing, etc., the way banking is done has undergone a sea change. How we cope with the changing environment is the challenge before us. How we position ourselves with this change. It is essential that bankers are aware and prepared to handle the change. The reasons for the shift in paradigm has been varied and has arisen on account of increasing customer expectation, fillip provided by technological advancements, the delivery procedures have undergone a sea change. There is a need to see how the deliveries can be sharpened, focused and how they are done in the days to come. Stricter regulatory norms have come into the picture. There are a lot of security concerns with the growing use of Information Technology and risk magnification needs to be handled by all bankers. Payment banks have the primary objective of financial inclusion through providing small savings accounts and payment/remittance services to the migrant labour workforce, low income households, small businesses, other unorganised sector entities and other users, by enabling high volume-low value transactions in deposits and payment / remittance services in a secured technology-driven environment. Payment banks are not allowed to undertake lending activities and will be restricted to holding a maximum balance of ₹100,000 per individual customer initially. Apart from amounts maintained as CRR with the Reserve Bank on outside demand and time liabilities, these banks will be required to invest minimum 75 per cent of their ‘demand deposit balances’ in government securities/treasury bills and in other securities with maturity up to one year that are recognised by the Reserve Bank as eligible securities for maintaining SLR and hold maximum 25 per cent in current and time/ fixed deposits with other SCBs for operational purposes and liquidity management. The 11 applicants who have received in-principle approval for setting up payment banks propose to bring fresh capital of ₹ 16.22 billion to the banking system and an addition of 1,140 bank branches in their first year of operation. The objective of setting up of small finance banks (SFBs) is furthering financial inclusion by (i) providing savings vehicles primarily to unserved and underserved sections of the population, and (ii) supplying credit to small business units, small and marginal farmers, micro and small industries, and other unorganised sector entities, through high technology-low cost operations. SFBs have a priority sector lending target of 75 per cent of adjusted net bank credit (ANBC) and at least 50 per cent of the loan portfolio should comprise of loans and advances of up to ₹2.5 million. The 10 applicants who have received in-principle approval for setting up SFBs propose to bring fresh capital of ₹ 57.34 billion to the banking system and an addition of 2,444 bank branches in the first year of operation. The initial concerns over the emergence of virtual currency schemes (digital currencies like Bitcoin) had been about larger issues related to the underlying design and incentive-structures of such privately- owned, internet-enabled alternative currency systems and their implications for the traditional monetary system. Even as opinions diverged on their merits, episodes of excessive volatility in their value and the failure of some virtual currency exchanges proved to be a dampener to their take-off. On the other hand, their anonymous nature that goes against global money laundering rules rendered their very existence questionable. While these issues along with challenges for consumer protection and taxation related aspects are being debated, the key technical concept of ‘blockchain’ which underpins such crypto- currency systems, is drawing more attention now. With its potential to fight counterfeiting, the ‘blockchain’ is likely to bring about a major transformation in the functioning of financial markets, collateral identification (land records for instance) and payments system. increasing at an increasing pace. Mr. Datta compared the position in India vis-a-vis the other parts of the world. He said that there is a huge scope for electronic transactions. In UK and USA, the no. of non-cash payments per person per year is around 300-360, in India it is just about 6 in India and China. 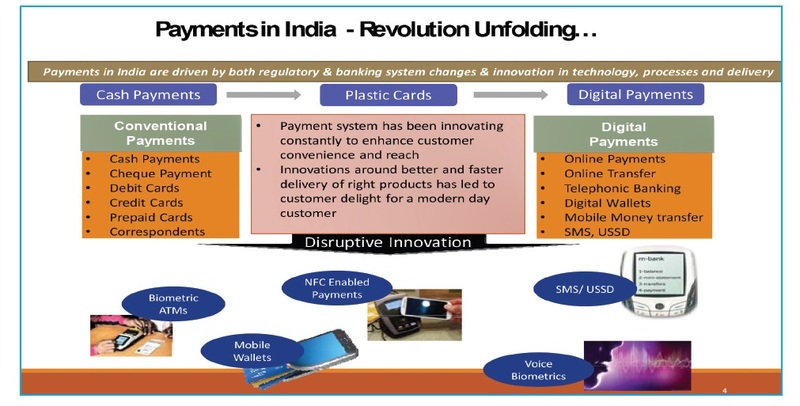 Mr. Datta described the evolution of the payment systems in India, over the years. He also touched upon the disruptive innovations introduced in recent years. Mr. Datta emphasised that it is the wallets which has shown sharp exponential growth both in volumes and amounts. 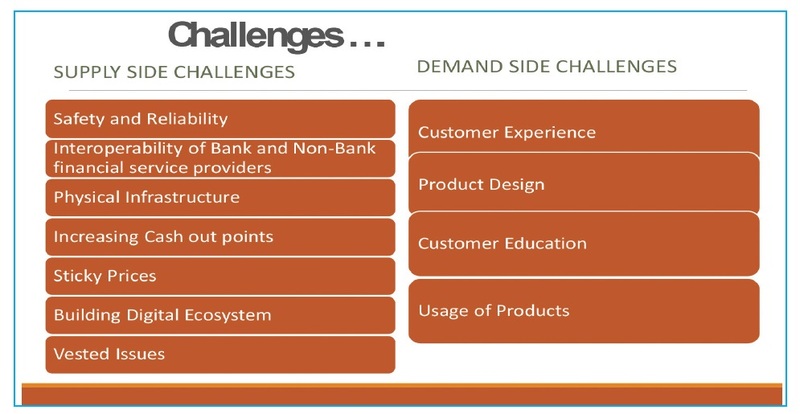 He also listed out the challenges faced by the banking sector both on the demand and supply side. But, he stressed that there are huge opportunities, which includes not only financial inclusion but also fiscal inclusion, for the banking industry which should be properly tapped. 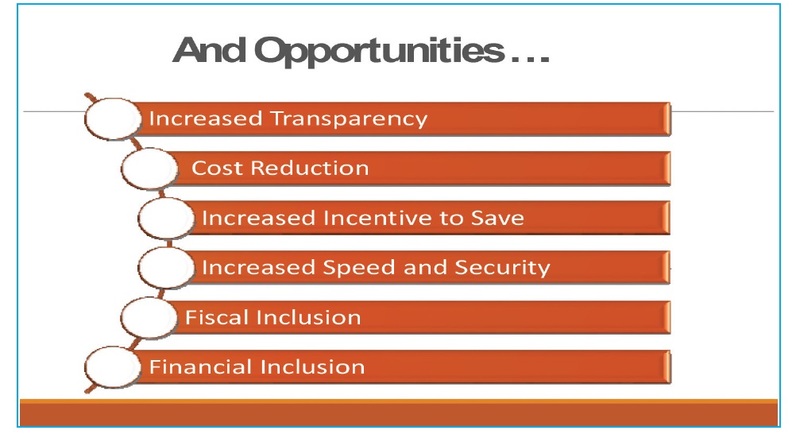 Mr. Datta finally listed the focus points which may be the basis for discussions by the panel. Mr. S.R.Bansal then set the panel discussion in motion. The payment mechanism to bring in more efficiency and transparency in the system is moving from cash to contact less payment to mobile money in India. This evolution has been made possible consequent to a series of measures initiated to contain the systematic risk in Payment & Settlement System. 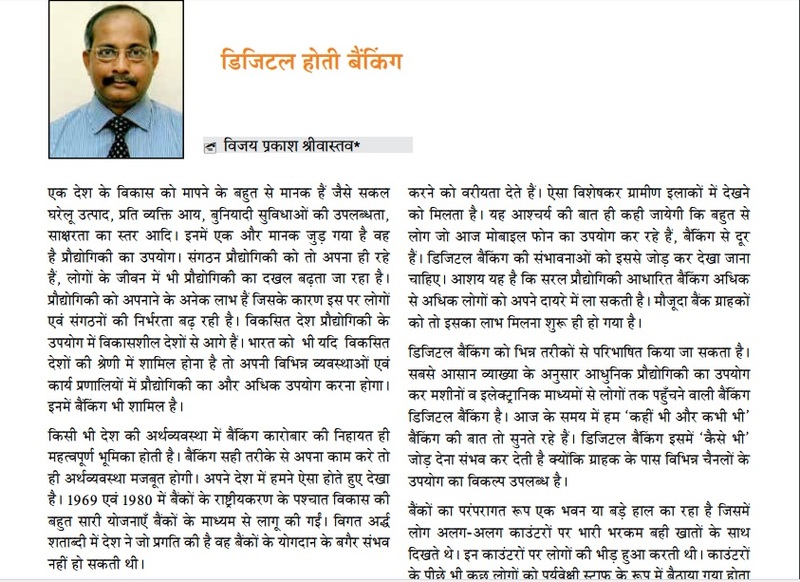 Besides the regulatory push, the Government initiatives such as JAN DHAN YOJANA, DBT, etc. have further given a big fillip to this shift. The emphasis on digital India would further intensify the movement helping to cover more and more numbers of entities and people bringing in speed and ease of making payments. It is in the last 10 years that India has witnessed this major shift from cash based payment to electronic payment system. This was mainly due to various measures taken by Government of India (GOI) and RBI, including introduction of Payment & Settlement Act, the setting up of RTGS and NEFT and of National Payment Corporation of India (NPCI), regulation and promotion of alternate channels and payment gateway and guidelines or security measures for the electronic transactions. This shift has also been increasingly aided by evolution of telecommunication and computing technology, both in terms of speed and reduced costs. While electronic payment system has registered impressive growth, the benefits of the modern electronic payment system are yet to reach many. They are generally now limited to the tier 1 and tier 2 locations. So, the benefit has been limited to those citizens who already have access to formal banking. 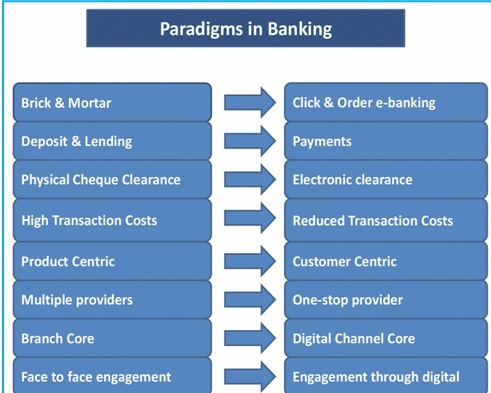 Banking operations moved from manual to computerised over phases with progress of technology and adoption of computerised operations in business. New functionalities and services have spread around riding over various electronic means and devices - mainframes and mobile phones, printers or e-mails, POS devices or smartchip cards, internet or ATMs. All of these platforms and devices are electronic, use computers or embedded microprocessors. We term this as ‘electronic banking’. These days another term ‘digital banking’ is used at times, interchangeably, with ‘electronic banking’. In this write up, we take a look at the issue of what, as per the current industry thought, constitutes ‘digital banking’ and if it is somewhat different from ‘electronic banking’ or is the same. A strict definition of the term ‘digital banking’ is, so to say, not uniquely in vogue, though industry experts and evangelists have described their expectations and ideas on these. In sum, we may consider that when electronic versions of manual services are built for different distinct pieces of services, then may be, we are providing electronic service of banking for that piece, like cash dispensation, money transfer, etc. All or some service may be computerised at a particular time, and the overall activities step by step follow the erstwhile manual workflow, albeit over electronic channels. For ‘digital banking’, something more is expected, in that, the business flow and services delivered may not necessarily follow the manual workflow, but, may leverage the natural process flow and strengths of computer operations. The above tells a little in concrete terms. We gather an impression that after enabling ‘electronic banking’ , a little more is to get done , to move it up to what is understood to be ‘digital banking’. In terms of jobs involved, making an electronic bank into a digital bank involves more in the vision, the ways of handling and organising issues and solutions and also, realising them in the system. Digital bank may be a few steps above an electronic bank in terms of computerisation of processes and their integration, but mostly, the philosophy and structuring of systems and solutions will mark the ‘extra’ dimension of ‘digital’. A little detailed discussion may give us a feel of this. We see that the concept of a digital bank starts from a much higher plane than considering IT to be a service department for ‘digitising’ services and transactions. Of course, these expectations involve management philosophy and competence levels and therefore of hardware, software only. Now, is this distinction important? Or, what purpose such an approach will serve? To understand this, we have to look at how our systems are getting developed and what alternatives are appearing on the scene and even disrupting the scene. While we may take this up in a later section, let us just consider how we developed banking software. The bankers with their detailed procedural and accounting knowledge of banking, first document the processes or explains them to computer software experts who go through them and come up with Application Software, and another set of computer experts set up hardware and routine processes. As all bankers are not comfortable in IT and the programmers do not know banking, developments go through few rounds of iterations, and we then get the solutions. For a digital organisation, the business manager (say banker) is expected to know the IT world reasonably well and can think and articulate much better to build up the service. In case of the organisation being more advanced as a digital organisation – the functionaries are IT experts and start understanding the services to be provided, without any legacy thoughts, and may build up the basic service as a more efficient one, and may knock off a few processes that the business people thought of , though were not of much value. This may result in a new, powerful service that may get a wide acceptance or even if not, suggest a better approach at times. As for an example of such a thing actually happening, it will be sufficient to consider that, despite banks being all around, Google or PayTM and other companies are seen to be easily capturing electronic wallet customers in large numbers. This is definitely because customers find some compelling value in that. The companies Google or PayTM cited above are only for example and there are many organisations like that – their products are called Fintech products and they are loosely referred as FinTech companies that provide financial services. The FinTechs are increasingly occupying business space in financial services like payments and remittances and stored value cards or wallets often, posing strong challenge to banks. It is held that Fintechs have focussed small portfolio, platform or products and at times their product or process operations seem lightweight and simpler so that some people may like it. At times, such products address a specific gap in the market. We shall look at this later again. As we go back to our discussion, we note here that, products by technology based organisations, foraying into financial markets, derive their strengths partially from the fact that the people behind planning them think in technology derived mindsets and out of technology heavy knowledge base. The resulting products and services often carve out reasonable space in the market and compete with bank products strongly. The thought behind formulating the solution and the granularity of the offerings are important for users, and will be important to address to enrich the banks’ digital journey. Another line of thought is that digital banking will necessarily be customer initiated , on customer preferred platform, seamless, straight-through, error- free, and provide utility to customer and operational comfort, lower cost, finish transactions fast, and provide enhanced services ( for example – if a customer checks a proposed loan EMI, it may be useful for him to cast this in some financial planner to help assess impact of the loan on his/her cash flow etc, so that a suitable level of EMI can be examined meaningfully. Any banking application providing such a pop-up or built-in extension will be of more utility and relevance for a customer). Q.1 ICC LG Choice Award? Q.5 CRR in the form of? 1. Application of computing in business has grown in expanse and depth very rapidly and added lots of new dimensions in operations, service delivery and business management. Analytics is one such specialised area that can be used to enhance customer experience as well as business manager’s capabilities for directing business efforts with focus. When you call a marketing site and get answered in your preferred language with greetings by name, reckon that analytics have played in the background. You look up a marketing site to view some preferred items , say a TV for example; next time you go to your mailbox to check for emails, advertisements appear here and there on the screen , about those preferred TVs and brands- click it and you are in the marketing site with the specific item on the screen. Surely analytics is playing a part in all these. 2. Data volume gets very big in today’s human activities at business, say like banking, because business delivery and customer operations are on computer, in almost all activities – which means much more information on customer activities are getting captured in computerised environments, leaving trails and records in terms of computerised records. To be able to understand and direct business efforts internally, or, provide rich and meaningful components and contents in customer interactions, all such data related to customer transactions and behaviour, as also external environmental / market data, are required to be captured, understood, studied and analysed. From all such data, selected portions are extracted, suitably restructured for ease of quick retrieval to help in queries made on this big pile of data, and combined into new data elements forms a new and different database. This process is ETL – Extract Transform Load. These information of different items or activities etc., are then put in a different database ; these databases form the base of the activities like storing of information, retrieval and processing to discover trends, rules, patterns of customer behaviour and some more related information. The various types of activities and handling in this area are termed as Data mining, Data Mart, Master Data Management, etc. Under the overall domain of Data Warehouse. Structured and organised data are made of data elements that follow strict rules of length, content type, permissible range of values, etc. However, there will be much other information which may be in texts, pictures, sounds etc. that may be useful to study and rate. For example, apart from price, a design or colour shade of merchandise, may have reasonable influence on customer preference without customer being able to articulate the same. However, by studying customer preferences, the back end system of a seller can have an insight to use for production and marketing strategies. This class of data will not follow a fixed structure, syntax, size or even the form – these constitute what is called ‘unstructured data’. to perhaps arrive at a desired accurate formula for making provisions for bad loans. Because the data is diverse and huge - thumb rules or simple averages or projections based on one or two easily measurable factors, will not do. And, if we desire to know while doing a Money Market deal, probability of this deal to cause the bank to exceed any agreed risk exposure level or limit at the whole bank level, then the Analytics and the resulting action have all to be real time, within the activity session of the deal. The narrations above are of course a simplified and narrow bird’s eye view only, the gamut of activities and challenges to understanding data in reality, are much bigger and difficult. 3. Analytics as a part of the integrated data driven operations of an organisation, will usually consist of classifying, segmenting, grouping of data, computing some values (of result, trend, etc.) representation of the same on screen by tables, charts and graphs of different types, dashboards, scoring tables, or similar any other graphic ( for on- screen) presentation providing interactive program for business management to study, change a few parameters and see the effect on the result, etc. For example, we can see the impact of a change in, let us assume, transaction charges to be levied for services - - by trying with various different values of transaction charges, and note the expected changes for the same on the profit or market share; this can be as a graph or bar chart or any other desired format of output on screen that appear about immediately (after entering the varying inputs). This class of activities are often called ‘what-if” exercise. The practice of visually seeing a change in output as an impact of complex business factor interplay, - is called Visual Analytics. Sometimes depending on the domain or platform to be studied or evaluated , a genre of analytics is named – e.g.– Cloud Analytics, Banking Analytics, Risk Analytics, Loan Analytics, in commercial communication. Basically selection of parameters to study, the data elements to be chosen, the features of the output, the business domain specific data elements, and the format of the result to be shown – may often have some specialities or usage norms; they use business rules and concepts of that domain, and can get bundled and sold under such specific names like in the foregoing example; there are no hard and fast rules however. a. Regulatory Reforms, asking for more and more data based information from banks. b. Profitability/ Cost cutting in view of increasing competition. c. Achieving Efficiency in operations. d. For better Risk management. e. To obtain better insight into business data and customer preferences – these can be customer segment-wise also, providing a farther segmentation. f. Attempt to redesign business processes. i. Customer satisfaction assessment and enhancement. j. Call centre or workforce efficiency. k. Cross selling, customer acquisition, etc. Hardly, an all pervasive project to kick-start many studies and activities in many domains will get done simultaneously, because business dependence is complex based on multiple factors. Any model or strategy, should better be piloted and tested in parts, by adjusting different parameters one by one, and the overall business system allowed to grow with these, in steps of changes to help stabilisation and correct understanding of effects of a change in each of the many factors in a business situation. 4. Banks handle huge data, and need to do more, which they may not be normally doing – say for example while we study loan defaults on the basis of accounts or customer numbers; however, study of relationship of loan delinquency with customer’s family/lifecycle issue history or projected competition of alternative service providers that may affect banking usage of customers, etc, is not easy, as, dependable data itself may not be there, or their relationship to business results are not understood well. Over and above, the thinking and capabilities required for data crunching and finding patterns in huge volume of data, are not in the core competence areas of bankers. On the other hand, technocrats are not expected to have the business domain knowledge. In this backdrop, it may be appropriate to see how best a simple banker can get along with Analytics in the best interest of the organisation. 5. The various available products of Analytics in the market as they are, suggest that the developers behind them have gained a reasonable insight in the underlying business. The teams of technology experts and business process experts from the providers’ sides have developed these products. The most distinguished and established organisations like Gartner or Forrester rate the capabilities of vendors that get accepted more than for any other ratings in the industry. These ratings tell us company-wise capabilities based on various factors that they explain in these rating releases. However, if we bankers plan to consider a specific genre of product, it will be good to look into the views on the particular product and domain and check that the functionalities and deliverables are in line with what is our plan and our own domain. We may not at the outset, be able to spell out or fully plan the outputs or the resulting product to procure, like we can normally do when we procure a server or few discs or some equipments, or some fixed functionality products like MS Office, etc. There will be some exploratory components in the solution and the outputs. There can be a facility in the solution provided - for user operated (by the banker who is implementing this solution) day to day analysis, report, parameter changes, etc., on a regular basis, or as and when required. It may be useful to adopt a few core outcomes, like capacity addition for understanding/analysing / reporting etc for management support, as the desirables; specifics of the solution can get defined and refined as we go from here. The banker’s team involved in the initiation of the specific analytic must have members knowledgeable in the business process of the underlying specific business area operations, for which an analytic solution is planned to be deployed. In most of the situations, the analytics vendors (that include big names like SAS, IBM ,etc worldwide, as also quite a few niche solution providers are there in the top bracket) have, through the assignments handled, collected knowledge and practices of the business domain and embodied the same in their solutions. So, as such many vendors would be approaching banks with specific solutions – say on credit risk management, or fraud risk management, etc. These are to some extent ready, that a bank can procure, learn operations, put values of parameters, get trained in, and start. This may prove to be a very easy and comfortable option for a functionary in the bank side, because, depth of their expertise or conceptual clarities may not be very great always, due to frequent movements in banks or limited or no experience, or also, the areas are new and growing, or, scope of theoretical grounding and exposure to global knowledge and practices are limited. Whatever it maybe, these together may lead to a situation of vendor dependence for operating expertise and also, thought leadership, This may not be helpful for knowledge enrichment and capacity creation in the bank. It is a good idea to expose the bank team for an analytics task / project, to theoretical concepts and industry best practices- preferably in the domain desired to be controlled or predicted with Analytics. For example – if we need to take up an analytics exercise to find what all to do to improve capital adequacy and block and mitigate factors that erode capital adequacy, even if a vendor arrives with a ready model and solution to fit into – it will be useful to field a team from the bank side consisting of business domain people thoroughly knowledgeable in the concepts of capital adequacy, Basel committee norms and directives, RBI directives, models in industry use in this field, etc., testing and validation concepts like stress testing and other global practices, and also internal working in the bank to the extent that covers how from all the business departments practically which business figures and data emanate and get fed into required capital adequacy computations, and, to what extent. The team also should have one or two Information Technology person(s) who are thoroughly conversant about which data elements pertinent to this domain are sourced from which accounts or operations in IT, if there are processing issues in IT that may have scopes to have bearing on the data values (say some values are repeated from old data if new data is not updated and some others are left blank if new data is not received – the dependability of the data quality gets differently affected in these two cases), and similar inside views. The IT persons are also to act as bridges with IT for interfacing or aligning any analytics input or output from or to the main banking system (core banking) or its subsidiary systems. Apart from proper manning and business knowledge gathering on the issue to be subjected to an analytics exercise, the usual project management that the banks do, often in their own practiced ways – will have to be in place as usual for the analytics project also. However, Analytics being a bit advanced in concepts and far more advanced in IT- in terms of processing capabilities and methods than the usual applications that get added besides corebanking, the processing of the analytics activities are to be in the analytics technical domain mostly. However, we need to have some insight and some understanding in gross terms, about the working models and components of analytics. if desired. The basic purpose is to use superior technical capabilities with control and focus on business goals – not getting overwhelmed or led by technology. Also, providing clean data, appropriate data, data that can be verified to be correct – are very important, as otherwise analysis, modelling, and predictions based on such information will not be useful to business. For the analytics to be useful, the banker is primarily responsible to have clean and correct data in the system. This sounds obvious, but is hardly come across. Incorrect, incomplete, and inconsistent data has been there to an unacceptably high proportion in many banks. Rapid expansions, conversion from manual to branch-based computerisation and thereafter to core banking could not take care of these gaps fully because the older systems and the later systems did not have the same data elements, and often the older data elements were not captured at one place so that many gaps resulted while converting to later versions. Banks have through special drives of data cleansing and de-duplication covered some ground. However, for a particular group data to be adopted for Analytics to provide us with insight and suggest actions –the first requirement will be a special check and cleaning of the data, as also, conscious decisions as to what default rules will apply in case of inconsistency, the actions to be taken for them, and the impact of these imperfections on the results should be understood, and used while appreciating the Analytics outcome. 6. Before coming back to the issue above, it may be useful to again understand the gamut of use of data for business understanding and directions and the entire universe of data warehouse, data mart, Business Intelligence, analytics, visualisation, modelling, predictions, etc., to understand the place of analytics in these and its role. things to their source, or mapping information to its original causes or principles. In other words, analytics is a way to understand causes of and connections among business events, business conditions, outcomes. So, analytics is expected to enable business managers to appreciate causal relations that are not easily visible, lead to insights some of which may be found to be crucial or significant. This leads to right business decisions that are difficult to derive in normal course in view of the usual deluge of multidimensional information faced in business from diverse sources. 1. In a certain code ‘TREAMWORK’ is written as ‘NBFUJQNV’ and ‘SOME’ is written as ‘PTDL’. How is ‘PERSON’ written in that code? 2. How many such pairs of letters are three in the word ‘SUBSTANCE’ each of which has as many letters between them in the word (in both forward and backward directions) as in the English alphabets? 3. How many meaningful English words, not ending with ‘D’ can be made with the third, the fifth, the seventh and the ninth letters of the word ‘STEADFAST’ using each letter only once in each word? In the following passage there are blanks, each of which has been numbered. These numbers are printed below the passage and against each, five words are suggest one of which fits the blank appropriately. Find out the appropriate word in each case. (51) over the world, rights related to information technology that are already legally recognized are daily being violated, (52) in the name of economic advancement, political stability or for personal greed and interest. Violates of these rights have (53) new problems in human social systems, such as the digital divide, cybercrime, digital security and privacy concerns, all which above (54) people’s lives either directly or indirectly. It is important that countries come up with the guidelines for action to (55) the incidence of malicious attacks on the confidentiality, integrity and availability of electronic data and system, computer-related crimes, content related offenses and violations of intellectual property rights. (56), threats to critical infrastructure and national interest arising from the use of the internet of criminal and terrorist activities are of growing (57). The harm incurred to businesses, governments and individuals in those countries in which the internet is used (58), is gaining in (59) and importance, while in other countries cybercrime threatens the application of information and communication technology for governmental services, health care, trade, and banking. As users start losing (60) in online transactions and business, the opportunity costs may become substantial. “If you owe your Bank manager a thousand pounds, you are at his mercy. If you owe him a million pounds, he is at your mercy”. Stressed Accounts Management is actually a misnomer. The actual process of managing an account to avoid stress and future deterioration begins right from the very selection of the borrower itself. Simply managing a stressed account, after identification of stress, is nothing but post facto fire – fighting which can be avoided to a great extent by due diligent and an analytical approach at the selection stage. ‘crisis’, as the number of Non-Berforming Assets (NPAs) in this sector continue to soar. A close scrutiny of the loan sanctioning, disbursement and recovery process have uncovered a number of gaps and inefficiencies. This includes identification and reporting of NPAs. Regulators have taken a note of it and are suggesting a number of steps to tackle this economic debacle. On the other hand, early identification, correct classification and reporting of NPAs require greater focus and improvement. Regulators are increasing their efforts in curbing the alarming rate of growth in stressed assets. However, one of the less talked about issues here is that how these assets are currently monitored and reported. Banks have their own systems and processes in place for the identification of NPAs and provisioning. The matter for concern is, how foolproof are the systems with respect to allowing possible manipulations and manual interventions while classifying NPAs category. 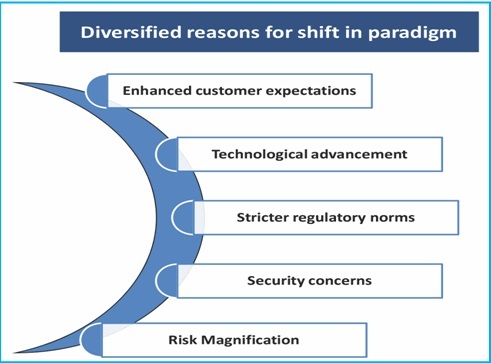 The key issues that banks are facing today are in the nature of complexities around different systems used for NPA identification and provisioning, over dependence on third parties for technology support, lack of audit trails to identify changes affecting NPA classification, lack of training and awareness at remote branches, etc. Until mid-eighties, management of NPAs was left to the banks and the auditors. In 1985, the first ever system for classification of assets in the Indian Banking system was introduced on the recommendations of A. Ghosh Committee on Final Accounts. This system, called the “Health Code System” (HCS) involved classification of loan accounts into eight categories ranging from 1 (satisfactory) to 8 (bad and doubtful debt). In 1991, the Narasimham Committee on the financial system felt that the classification of assets, according to the HCS was not in line with international standards. It was suggested that for the purpose of provisioning, banks should classify their advances into four broad groups. viz. (i) standard assets; (ii) substandard assets; (iii) doubtful assets; (iv) loss assets. Following this, prudential norms on income recognition, asset classification and provisioning were introduced in 1992, in a phased manner. In 1998, the Narasimham Committee on Banking Sector Reforms recommended the further tightening of prudential standards in order to strengthen the prevailing norms and bring them at par with evolving international best practices. With the introduction of 90-days norms for classification of NPAs in 2001, the NPA guidelines were brought at par with international standards. 1. Prevention of potential stressed accounts. This involves right selection of borrowers at the initial stage. The primary reason for high NPAs in Banks is the simple fact that, instead of going to the market and selecting good customers, most of the Banks are depending on a few walk in customers or customers brought in by unscrupulous Consultants. The choices here are limited and the possibility of fraud and misappropriation is high. Most of the corporate customers are referred to the Banks by merchant bankers and loan syndicators instead of the Banks identifying ‘A’ rated borrowers themselves and formulating strategies to get a share in their business. In fact, most of the banks do not have a robust credit marketing system. This could address the issue of unhealthy exposure in the beginning itself. This gap can be bridged to a certain extent by proper due diligence about the genuineness of the borrower, his track record and the genuineness of his intent based on market inquiry and verification of the various reports and records available in the public domain. Analysis of technical and economic viability of the project is very important. This requires a significant amount of technical skills. In many cases, the obtaining of a TEV study report is entrusted directly to the borrower without realizing that he can manipulate the report. Another area of expertise is the correct assessment of fund requirement, cash flow and marketability of the product. The following are some of the issues which call for careful examination. e) Cash flow based on the sales and its adequacy to meet the repayment obligations. Many of the projects are failing due to improper assessment of cash flow, fixing of repayments which do not match with generation of cash and time/ cost overrun leading to the debt mounting to unsustainable levels. The next area requiring focus is to ensure that the assets are created and funds are not diverted elsewhere. This should not end at the installation phase, but continue on a continuous basis. Such monitoring will ensure that not only the term loan component, but even the working capital is also not diverted. Hence Credit Monitoring during Pre-disbursement; during disbursement and post disbursement is very critical in maintenance of asset quality. Disproportionate blocking of funds in receivables and not routing the transactions through the account should not be allowed. This will also prevent any possible diversion of funds. Once stress is detected in an account, the first thing one must do is to assess the triggers of stress. It could be any of the following reasons. (Article) Whether, Bank is liable for deficiency in service? (Article) Legal Decisions Affecting Bankers - Whether, Bank is liable for deficiency in service? Whether, Bank is liable for deficiency in service? Facts: Smt. Surinder Kaur (Kaur/Complainant) and her husband had joint savings account with State Bank of India (SBI). The Bank had issued two ATM cards both for Husband and Wife at their request. Kaur’s husband was serving in army in West Bengal. His salary was credited to the said joint account by his employer. *Deputy Director (Legal), Indian Institute of Banking & Finance. 15/3/2011 till realization. She also claimed compensation of ` 50,000/- for mental agony and physical harassment besides ₹ 5,500/- towards litigations expenses. SBI filed written statement stating that the ATMs of the banks are interlinked and whenever amount was withdrawn by Kaur, the same will be debited to her account. SBI further contended that the complaint of Kaur was forwarded to their office at Belapur/Navi Mumbai and as per their instructions the amount was credited to her account. Though the matter was taken up with SBOP to reimburse the said amount; but on their refusal SBI debited her account by ₹27000/-. SBOP also denied any deficiency in service on its part by filing written statement by producing various documents. SBOP further denied having knowledge about disputed transaction for want of notice from the Kaur/Complainant. Read more about (Article) Whether, Bank is liable for deficiency in service?